Located close to Mt Kaputar National Park and 25 kilometres out of Narrabri on the Mount Kaputar Road we have for your comfort an intimate cabin with queen and single beds, set in landscaped gardens. Leave your cares behind and relax in view on Mt Kaputar National Park. Mt Kaputar is a 1512 metre summit 25 kilometres east of Narrabri with spectacular 360 degree views encompassing a staggering 10 per cent of New South Wales, weather permitting. Pet Friendly. 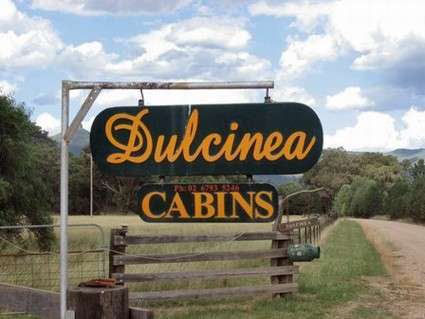 Located close to Mt Kaputar National Park and 25 kilometres out of Narrabri on the Mount Kaputar Road we have for your comfort an intimate cabin with queen and single beds, set in landscaped gardens. Leave your cares behind and relax in view on Mt Kaputar National Park. Mt Kaputar is a 1512 metre summit 52 kilometres east of Narrabri with spectacular 360 degree views encompassing a staggering 10 per cent of New South Wales, weather permitting. Pet Friendly.